Play is critical to early child development and to be able to raise healthier, smarter kids, you need to offer your child many varieties of toys. On the other hand, toys can be expensive and children outgrow toys quickly. This is where Toy Rentals in Mumbai come to your rescue. Why buy when you can rent a toy from a large variety of branded toys from Toy Rentals and Toy Libraries in Mumbai. 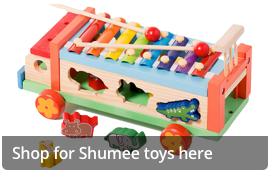 You can find toys on rent for all occasions and for kids of all age groups – indoor play, outdoor play, birthday parties and other events, or to simply see the glee in your child’s eyes. To find a good toy library which has a good collection of toys, maintains hygiene and has timely delivery options, read 56 reviews and 69 recommendations by parents like you who have used their service. Of around 29 toy rental services/ libraries listed in Mumbai, MyKhilona, Kyddoz World Toy Library, Toy Station are recommended as the better options.